Italy became a nation-state in 1861 when the regional states of the peninsula, along with Sardinia and Sicily, were united under King Victor EMMANUEL II. An era of parliamentary government came to a close in the early 1920s when Benito MUSSOLINI established a Fascist dictatorship. His alliance with Nazi Germany led to Italy’s defeat in World War II. A democratic republic replaced the monarchy in 1946 and economic revival followed. 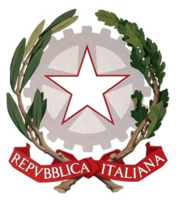 Italy was a charter member of NATO and the European Economic Community (EEC). It has been at the forefront of European economic and political unification, joining the Economic and Monetary Union in 1999. Persistent problems include illegal immigration, organized crime, corruption, high unemployment, sluggish economic growth, and the low incomes and technical standards of southern Italy compared with the prosperous north.